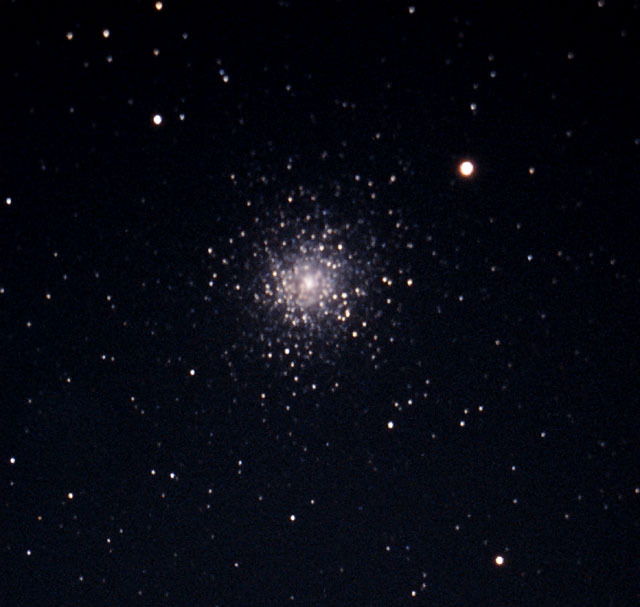 This globular cluster in Pegasus is one of the few visible in late Autumn. It is 40 kly distant. The longer exposure contained an overexposed core. Detail in the core was restored from the shorter exposure using a mask layer.